Las Vegas’ never-boring real estate market didn’t disappoint in 2016. Bob Combs launched a business feeding casino food scraps to pigs in the 1960s, but as the Las Vegas Valley grew, his once-isolated R.C. Farms property became surrounded by housing tracts. And with pungent fumes in the air, plenty of people couldn’t wait for him to send the swine away. He’s granting their wish, and cashing in. Combs sold the farm site and adjacent land — 154 acres total — to developer Guy Inzalaco for $23 million. The sale closed Nov. 1. Combs’ listing broker, Mike Montandon, has said the new owners are planning a project with housing tracts and retail. The property is 10 miles north of the Strip at North Fifth Street and Ann Road. Marvell Technology Group founders Weili Dai and Sehat Sutardja were ousted this year from running their Silicon Valley semiconductor company. Months later, the couple bought the bulk of a luxury Las Vegas condo complex and moved to the top floor of Donald Trump’s gold-gilded tower near the Strip. 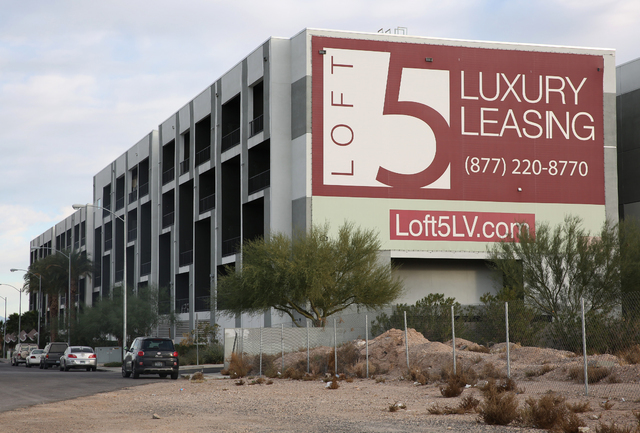 Dai and Sutardja bought 241 units in Loft 5, a 272-unit residential complex about 5 miles south of the Strip, for $51.5 million. The sale closed Nov. 29. Marvell boasts 5,000-plus employees. In April, the board fired Sutardja as CEO and Dai as president. There have been plenty of reports on the demise of American malls, but on tourist-packed Las Vegas Boulevard, investors paid billions for them in 2016. In April, Indianapolis-based Simon Property Group and Atlanta’s Invesco acquired The Shops at Crystals for $1.1 billion. In July, New York investment firm TIAA acquired a 50 percent stake in Fashion Show mall for $1.25 billion. And in October, owners of the Miracle Mile Shops announced they sold to Illinois-based Miller Capital Advisory and California public pension fund CalPERS. That price was not disclosed but was said to be around $1.1 billion. Las Vegas’ office market, still grappling with high vacancy rates, has been recovering slowly from the recession. But as one sale showed, landlords will spend big for a newer property that’s fully leased by a big-name tenant. Griffin Capital Corp. of Southern California bought slot-machine maker International Game Technology’s three-story office building in southwest Las Vegas for $66.5 million. The sale closed Sept. 27. The seller, Panattoni Development Co., bought IGT’s 38-acre property in December 2015 for $75 million. It flipped a 13-acre portion to Griffin. Want to compare Las Vegas’ bloated, bubble-era land values to today’s prices? Just look at the vacant parcel next to the Palms. Florida developer Christopher DelGuidice bought the 8.6-acre parcel at Flamingo Road and Valley View Boulevard in 2004 for $50 million. He laid out plans for Vegas 888, a 50-story luxury condo tower, but never built it and lost the land to foreclosure. This year, Las Vegas investor Christopher Beavor bought the site for $13.5 million. The sale closed Sept. 30. Beavor has said his plans include a 15- to 20-story nongaming hotel, an apartment complex and retail space. Las Vegas’ apartment sector has heated up with rising rents, increased construction and bigger sales prices. Amid questions of whether investors are overbuilding, a big landlord sold all of its apartments here for a massive payday. Houston-based Camden Property Trust sold 15 apartment complexes, a commercial center and about 20 acres of land for $630 million to The Bascom Group and Oaktree Capital Management, both of Southern California. The sale, announced in April, was said to be the most lucrative Las Vegas apartment deal in memory. Apex Industrial Park, the sprawling North Las Vegas business park, has plodded along for years with little development. But land broker and investor Scott Gragson laid his first bet on the park amid hopes for a growth spurt. He bought at least 153 acres in July and August for almost $6.8 million combined, property records show, though Gragson estimated his holdings at about 180 acres. Many people have high hopes for Apex, largely because of Faraday Future’s planned 3.4 million-square-foot auto-manufacturing plant. The electric-car startup, backed by $335 million in state incentives, began site work this year, but construction stopped last month. Builders stopped working after Faraday reportedly missed multiple payment deadlines. Faraday’s investors include Chinese billionaire Jia Yueting, but the company doesn’t identify a CEO and has declined to discuss its ownership structure. Las Vegas homebuilder Larry Canarelli this year acquired a property that, he says, is the most bizarre he’s ever bought: magician Penn Jillette’s multicolored mansion known as The Slammer. The southwest Las Vegas home gained notoriety for its unusual look and such features as secret rooms, an outdoor catwalk and a driveway entry with two sets of automatic chain-link fences. Jillette sold his 8.6-acre spread to Canarelli’s American West Homes for $1.88 million. The sale closed Nov. 4. Jillette started to demolish The Slammer a few months ago by having someone drive a tank through it, as part of a scene for a movie he was making. But the tank got stuck and didn’t destroy much. Canarelli said he plans to build houses on the property.